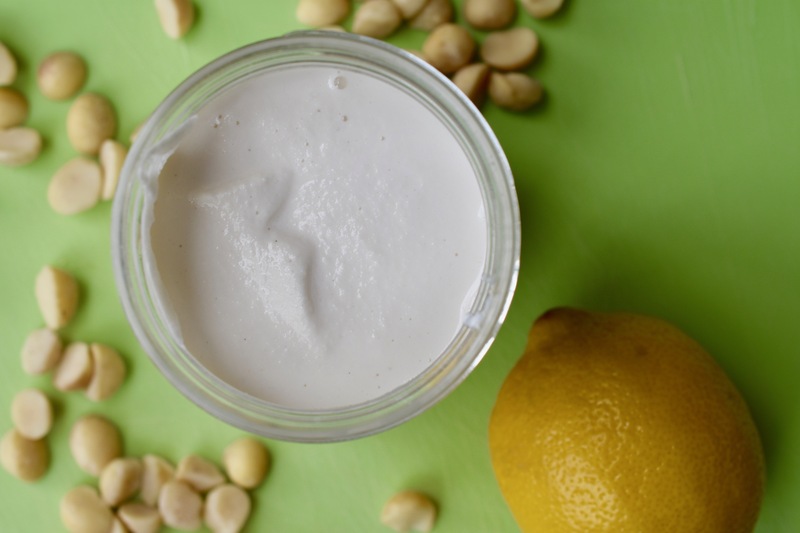 I made this Macadamia Sour Cream for a client that can not eat cashews. It is very similar to the Cashew Sour Cream that I make with a few adjustments to meet the needs of my client. I used this version to make a Chickpea Salad Spread, which is an adaptation of my Chick(en)pea Salad Nests. Even with the changes, this Macadamia Sour Cream is pretty tasty. Combine all the ingredients into a high-speed blender and blend until it is smooth and creamy. You may need to scrape the sides down and add additional water as needed.